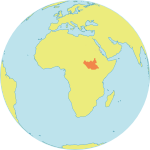 RUMBEK, South Sudan – Elizabeth Ayumpou Balang is a teacher at a nursery and primary school in Rumbek, a town in central South Sudan. It is her dream job, but it did not come easily. Like many girls in South Sudan, Ms. Balang was married, and became a mother, while just a teenager. In South Sudan, about 45 per cent of girls are married before reaching age 18 – a situation that may be worsening because of the country's ongoing conflict. For many girls, this means unfinished education, early motherhood, and worse health outcomes for themselves and their children. But Ms. Balang resolved to follow a different path. After having her first child at 18, she went back to school. “I wanted to continue my studies and become a teacher,” she told UNFPA. Since then, she balanced her time between taking care of her family and attending her classes. It was challenging, she says, but her determination was stronger. She also bucked another trend – she and her husband embraced family planning. Ms. Balang knew that contraceptives would enable her to achieve her goals. “If I follow cultural norms, I am not supposed to practice family planning. But I decide for myself and my husband supports me,” she said. She began attending a UNFPA-supported clinic, where midwives and other health workers provide a full suite of reproductive health support, including antenatal care, safe childbirth services, family planning information and a variety of contraceptive options. Now 23, Ms. Balang teaches at a local school and finds fulfilment contributing to the empowerment of her students through education. As part of the school curriculum, primary students are taught modules on gender equality, HIV and AIDS, and family planning. It is part of the comprehensive sexuality education that schools have incorporated into their programmes, with technical assistance from UNFPA. “We teach these subjects so they become aware of gender issues and their rights, especially the girls, as well as to educate them on how to protect themselves from HIV and other sexually transmitted infections,” Ms. Balang explained. Ms. Balang is now pregnant with her second child, and expecting to deliver soon. The timing of her second pregnancy works well for her family, she told UNFPA. 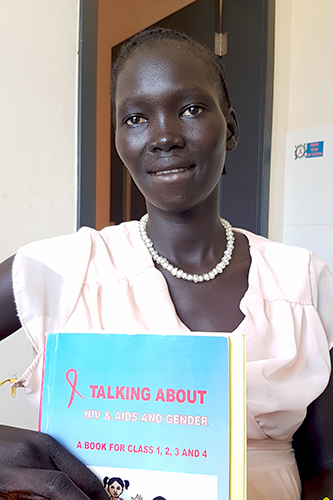 She hopes more South Sudanese women and couples learn about the benefits of family planning. With the country’s conflict and widespread instability, having more children that you cannot feed makes the situation worse, she explained. Gordon Magang, one of the midwives working in UNFPA’s Strengthening Midwifery Services Project, says Ms. Balang is not just a good role model for young girls; she also sets a positive example for pregnant women with the way she takes care of herself. “She regularly comes to the clinic for antenatal check-ups and to receive her vitamins. She wants to make sure that both she and her baby are healthy,” the midwife shares. South Sudan is one of the world’s most dangerous countries to be a mother. Government data from 2006 show that for every 100,000 live births, 2,054 South Sudanese women died from pregnancy or childbirth complications. More recent figures from the United Nations show 789 deaths per 100,000 live births, the fifth highest in the world. Family planning and maternal health care can bring these tragic maternal death figures down. Ms. Balang’s inspiring example could very well save lives.